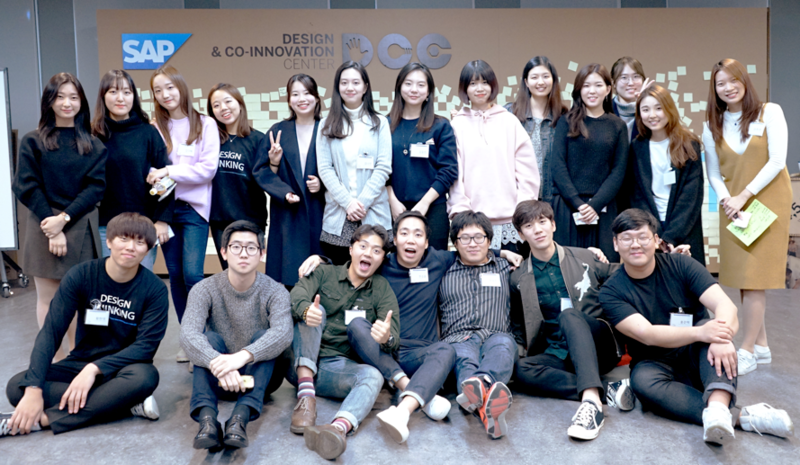 UA Korea, together with Design Thinking Community(DTC), hosted 15 students from 12 universities on 5 November. 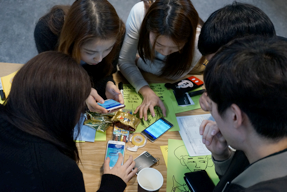 Together with 6 DTC members, a total of 21 participants got together on a Saturday! 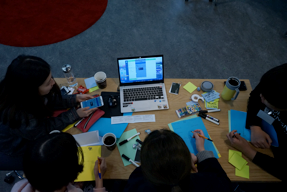 One of the DTC members took role as a main facilitator, and the rest participated as table facilitators. 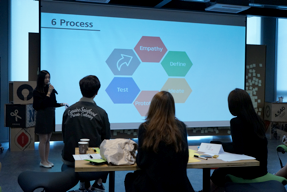 Participants were interested in Design Thinking, pursue innovation, creative confidence, and broaden their thoughts. 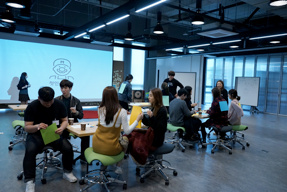 They were divided into 4 groups for their best experience of the workshop. The program details were as follows. 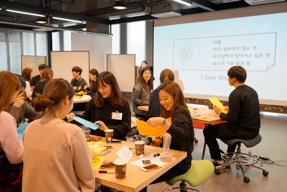 Participants build rapport through ice breaking and team activities – First impression and I see you. 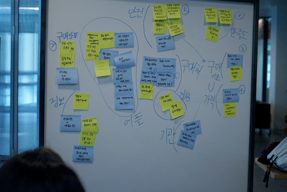 And they had brief overview about Design Thinking process. They looked through each application and choose one to re-design. 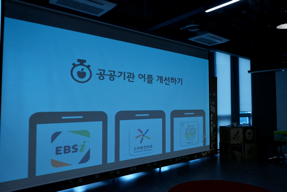 One of them played a role as a customer, and being interviewed before solve tasks for each application. 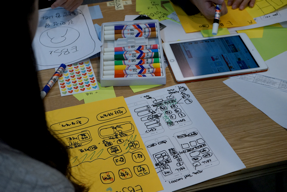 Then they defined what was the real problem, ideate the solution, prototype it and test. 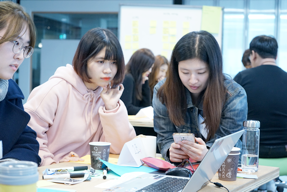 The participants were very pleased with participating in the workshop. 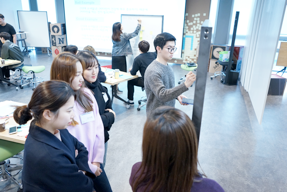 They stated that they want to keep design thinking mindset into their everyday life, and even they want to apply design thinking at solving real problems. 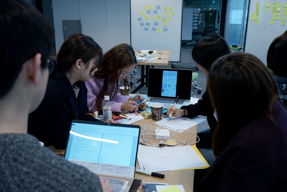 All in all, it was another good Design Thinking session to reach out to more University students in Korea! 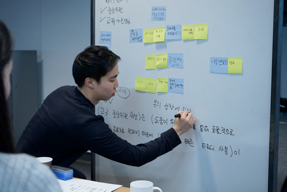 Appreciation to our student intern Richard Jang, UA Korea Intern who has been so passionate to drive Design Thinking activities for Korean University students!